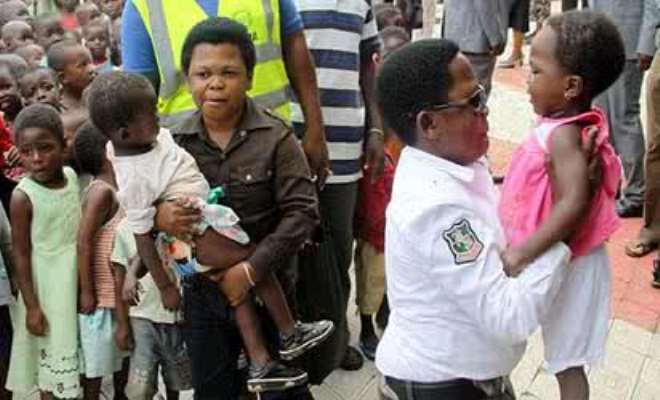 Nollywood stars, Chinedu Ikedieze and Osita Iheme popularly known as Aki and Pawpaw respectively, were recently in Delta State, South South Nigeria for victims of flood in that state. According to information gathered by Nollywoodgists.com, the duo were invited by the state governor, Emmanuel Uduaghan to psychologically help the victims of the natural disaster that hit some communities in across Nigeria. 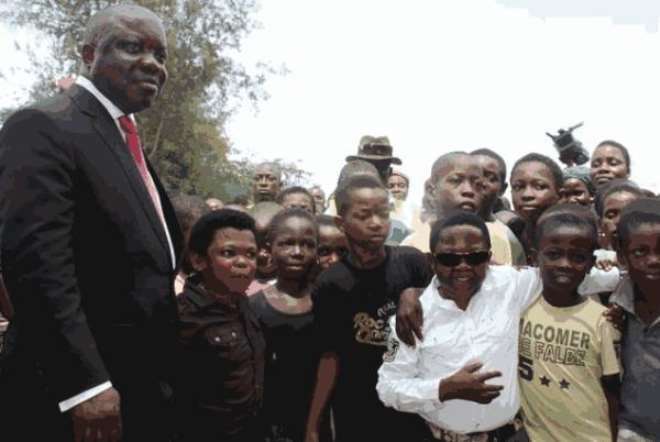 Aki and Pawpaw were reportedly well received by the victims of the flood who may have been happy seeing their movie stars come to identify with them in their time of troubles. The two make-believe stars didn't fail to deliver the succour they were contracted to render at the rehabilitation camps set up in Delta State for the flood victims.